The emotional and financial costs of medical negligence can be catastrophic. If you have been injured as the result of medical malpractice, or your child has been injured during pregnancy, labor, or delivery, or if you have lost a child for an unknown reason, medical negligence may have played a role, and you need a lawyer who understands the law, will fight aggressively for you, will keep you informed, and will make sure you get the largest award you can. That lawyer is Attorney Thomas More Holland. Although doctors do not guarantee results, they must use reasonable care when they diagnose and treat their patients. The most common types of medical malpractice occur when doctors improperly diagnose patients or when they make mistakes that causes serious injury to their patients. A misdiagnosis can occur when doctors fail to order appropriate diagnostic tests, such as x-rays, blood tests, MRIs (Magnetic Resonance Imaging) or CAT (Computer Axial Tomography) Scans, or when doctors fail to diagnose a condition in a timely manner. Malpractice also occurs when doctors fail to read scans correctly, allowing an illness or injury to get worse because it was not properly treated. Medical malpractice also includes failing to give anesthesia properly or in a timely manner, causing serious injury to the patient. Malpractice can also occur when an obstetrician fails to diagnose conditions that arise during pregnancy or fails to diagnose defects in a fetus that could cause injury or death to the mother and the fetus. Common types of obstetrician negligence include improperly inserting and monitoring IUDs, failing to diagnose gynecological diseases such as ovarian cancer, cervical cancer, breast cancer, endometriosis, and pelvic inflammatory disease. Many other diseases may cause pregnancy complications or fertility problems and lead to medical malpractice. One condition, placenta previa, occurs if the placenta, which nourishes the fetus during pregnancy, attaches to the inside of the womb in a way that prohibits a baby from being delivered properly. If not diagnosed, this condition can cause significant blood loss, damage to the fetus, or even death. Medical malpractice can also occur if a delivery is allowed to go on for too long, requiring a cesarean section. If a cesarean section delivery is delayed, the child may be injured from lack of oxygen. Because nursing home residents require special care and attention, it is very important that the doctors, nurses and staff of the nursing home provide proper care and do not abuse or neglect a patient. Unfortunately, residents of nursing homes are frequently the victims of medical malpractice or negligent care, and suffer serious injuries as a result. Residents who suffer injuries because of nursing home negligence are entitled to compensation for their injuries. How Can I Prove A Medical Malpractice Case? 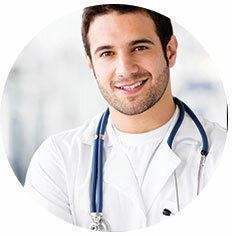 In order to prove that a doctor, hospital or other medical provider committed medical malpractice, you must show that the doctor’s conduct fell below the appropriate standard of care, that the doctor’s negligence caused an injury, and that the patient suffered damages, generally a serious injury or death. Virtually every medical malpractice case requires an injured person to present testimony from one or more experts, who can explain what the doctor did wrong and why the doctor’s mistake hurt the patient. Each state has a statute of limitations, which specifies how much time a person has to file a lawsuit. In Pennsylvania and New Jersey, the statute of limitations for filing a medical malpractice claim is two years from when the doctor committed the malpractice. In certain cases, the statute of limitations is two years from when the patient first knew, or should have known, that the doctor, hospital or other medical provider was negligent. There also may be a different statute of limitations for minors. Regardless, because medical malpractice claims require investigation as well as review of all of the patient’s records, it is important to consult with a lawyer as soon as possible so that your attorney has as much time as possible to examine the records and prepare your case. Because medical malpractice is an extremely complicated, you should hire a lawyer who understands the law and the medicine, and has handled these cases. Attorney Thomas More Holland has represented victims of medical malpractice for more than 20 years. The personal injury attorneys and staff of the Law Offices of Thomas More Holland have the knowledge to handle your case, give every client personal attention, and provide zealous legal representation. If you, a loved one or a friend has been injured, contact the Law Offices of Thomas More Holland by filling out a simple form, by sending an email or by calling (215) 592-8080.